I have new babies for my makeup kit. You know me. I’m a very thrift shopper but at the same time, I make sure that the quality won’t be suffering. I will also be making reviews for these products so that you'll know if it is a "yey" or a "ney" to me for the final verdict. 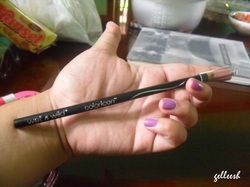 The Wet N Wild Color Icon Brow and Eyeliner in Black was sent by my good ‘ol beauty blogger friend, Fashiometics(http://fashiometics.wordpress.com). She recommended this liner and, well, I trust her lots. If she says it is good, it really is. I would be posting a review soon so that I can tell you guys what I think. 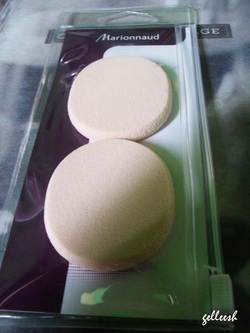 The Marionnaud Latex Sponges in Oval Shape only costs PHP 69.00 and there is like already two pieces. The Marionnaud sponge is soft but it’s not the soft type which easily tears and breaks out as per how I felt it upon touching. I will make a review about this as well. 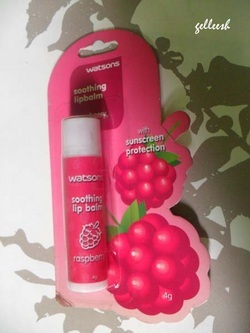 Last stuff I had is the Watsons Soothing Lipbalm in Raspberry. It says that it has sunscreen protection but no indication of spf content. So far, as per my observation, it is colourless and odourless. It is 4g and costs PHP 65.00. It is from Watsons so I don’t have any problem with the quality. I will also be posting a review about it soon. 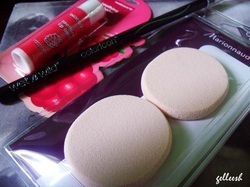 You can share in the comment section below your own new add-ons in your makeup kit. Till next blog post, everyone!